Born in Neptune, New Jersey, and a graduate of Nansemond River High School in 2003, Sergeant Charles Strong enlisted in the Marine Corps in August of 2003. During high school, Sgt. Strong studied auto mechanics at the Pruden Center for Industry and Technology in Suffolk, VA. In 2004, Sgt. Strong was assigned to the Provost Martial Office (PMO) where he cross trained as a 5811, Military Police. He was assigned to the Transportation Support Platoon as a Support NCO to the Training Companies in 2007, later becoming the only Vehicle Recovery Operator for 2nd Battalion, 3rd Marines and supporting units. Sgt. Strong deployed in support of both Operations Iraqi Freedom and Enduring Freedom. Sgt. Strong joined 2nd MSOB as an Element Member for Marine Special Operations Team (MSOT 8214) in December of 2013. While deployed with 2nd MSOB in Herat Province, Afghanistan, Sgt. Strong was killed when an individual wearing an Afghan National Army uniform turned his weapon on international trainers. Sgt. 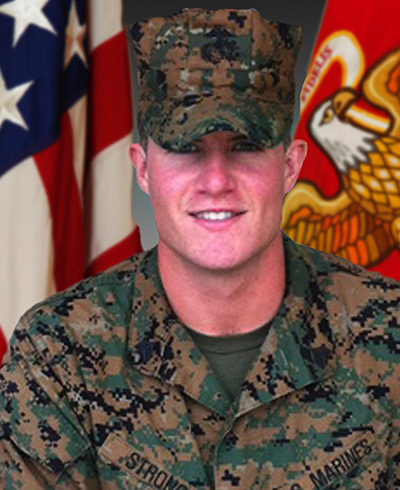 Strong’s personal awards include the Navy and Marine Corps Achievement Medal (2nd award), the Marine Corps Good Conduct Medal (3rd award), and the Combat Action Ribbon.